Get a head-start on the competition by preparing for your ExxonMobil online test. Take JobTestPrep's aptitude tests, track your scores, and ensure you get noticed. ExxonMobil numeracy test, reading comprehension, mechanical aptitude, and many more practice questions, all for you, to get you hired. What are you waiting for? Start practicing now! ExxonMobil was founded in 1870 and is an American international oil and gas corporation. They are the ninth largest company by revenue in the world and are the biggest publicly traded oil and gas company out there. ExxonMobil is a refiner and marketer of petroleum products; they implement innovative methods to discover and provide better and safer ways to deliver energy. Available ExxonMobil jobs can be found in various fields, such as engineering, law, project management, operations, and more. 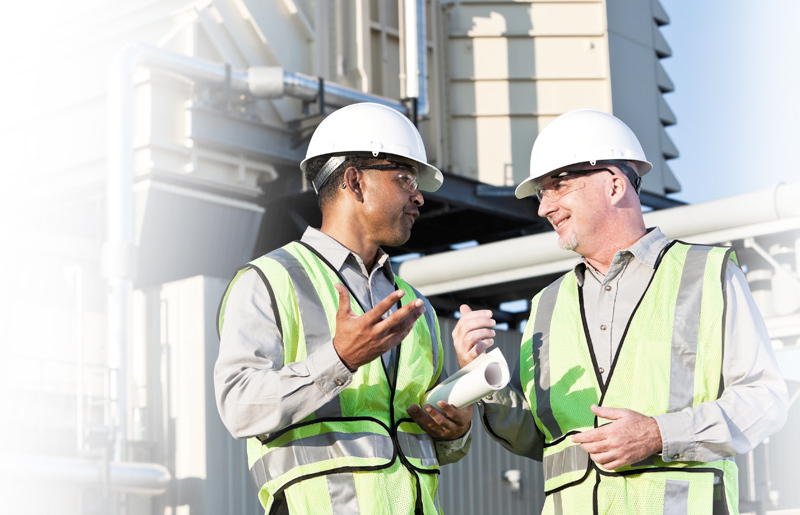 To become an ExxonMobil employee, you must go through the ExxonMobil hiring process. This process entails choosing your career by searching for job opportunities by location, or according to your background and interests. Once you submit your resume, you may be required to partake in a preliminary assessment. This can include mechanical, technical, and analytical aptitude tests. You will also be invited for one or more in-person interviews. Depending on the job position, you may be invited for a brief phone interview, an on-campus interview, technical interviews, leadership interviews, and research interviews. Try our PrepPacks™ for the most comprehensive preparation for the ExxonMobil aptitude tests. Start practicing today for your best bet at success. In addition to the permissions of each individual class, each employee holds the permissions to floors and servers of all classes of a lower number than his/hers. Class 1 – May access floors 1-3 and any file on server Z. Class 2 – May access floor 4 and any file coded green on server Y. Class 3 – May access floors 5-6 and any file coded yellow on server Y or coded green on server X. Class 4 – May access all floors and all files. Since Mark has access to floor 4, he must be classified at least in Class 2. Since Mark has access to a file on server Z, he must be classified at least in Class 1. In total, Mark can be classified at least in Class 2. Remember, Class 2 employees can also access file on server Z, because Class 1 is lower and holds that permission. 2. In what position would it be easier for the worker to carry the wheelbarrow? A wheelbarrow is a second-class lever. The fulcrum is its wheel, the user applies the input force onto the handles, and the output force carries the load in middle. Much like any other lever, the input force creates a torque via the fulcrum to carry the load; the torque is the product of the input force and the arm's distance. Since the load is the same for both workers, the output torque is also the same. However, worker B is gripping the handles farther from the load – thus, the arm's distance is longer, and to achieve the needed torque, a smaller input force is required. 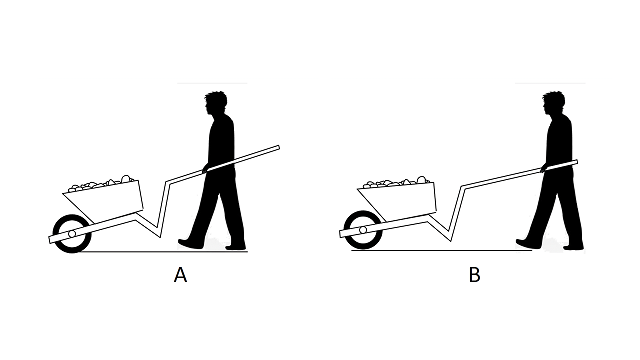 Therefore, worker B will carry the wheelbarrow more easily. ExxonMobil and other trademarks are the property of their respective trademark holders. None of the trademark holders are affiliated with JobTestPrep or this website.